What does it mean if a wine critic has hidden investors? Possibly nothing, but what if those investors are, say, a winery owner or wine importer? 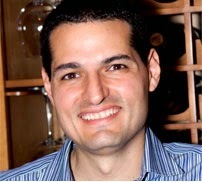 Antonio Galloni was in the news recently when he acquired Steven Tanzer's International Wine Cellar. The move was universally lauded by the wine press (here's my own analysis column), as it gives Galloni a 30-year library of wine reviews from a critic perhaps even more respected than himself. To my knowledge nobody has ever publicly questioned Galloni's independence, or Tanzer's. However, the money to acquire the IWC had to come from somewhere. Galloni's spokesman would not respond when I asked where his funding was from, and said he was not available for an interview. It's a shame, because Securities and Exchange Commission (SEC) documents aren't really my strong suit, nor that of the two business journalists I asked to look at this one. And I would love for Galloni to explain it from his perspective. In case the link doesn't work (it's balky for me with Firefox), it's a Notice of Exempt Offering of Securities, file number 021-200691, filed on Aug. 2, 2013. You can find it by searching the SEC site for All Grapes Media. As I read it, it means Galloni has 5 investors who have put up $850,000, but only three of them are named. Two are Galloni and his wife. A third is James Forsyth, who's listed on the Vinous website. So who are the other two silent investors? Just friends with money? Perhaps someone with offices, just to pick a location known for its finance industry, on the Charles river Banks? Or maybe it's someone with good reason to stay hidden. What if they own a winery in Napa Valley? Or Santa Barbara County? Or even somewhere abroad, perhaps in the southern hemisphere? Wouldn't it behoove them to have money invested in a site that could give favorable ratings on the 100-point scale? When Robert Parker sold a large stake in the Wine Advocate in 2012, the wine media briefly got excited to lean that the buyer was a Singapore wine retailer who sells wine futures. But that news didn't seem to affect Parker's standing among his many fans. Perhaps Galloni has learned yet another lesson from his former mentor: Most wine drinkers won't actually follow the money. But the trail is there, even if it the ending is hidden. I wouldn't worry about hidden investors. That is a relatively small amount of money to raise. How long is $850K to $1.2M going to last? You have to think Vinous is losing money. Did Vinous purchase Tanzer (a/k/a IWC) because he has financial difficulties? Perhaps Tanzer and Vinous are both struggling, or perhaps they are doing fine, and by joining forces they feel that they can raise more money and do well together. IMHO, all these wine rating companies (JS, WA, WS, WE, IWC and Vinous). have a problem because they allow wine retailers to publish their reviews for free. I have stated this before, but I believe the power is shifting to wine retailers. They have the wines in stock, and in this day and age it is all about finding the best values, and the top wine retailers have no problem finding plenty of great wines. I just don’t see consumers rushing around to pay $100+ a year for a subscription.